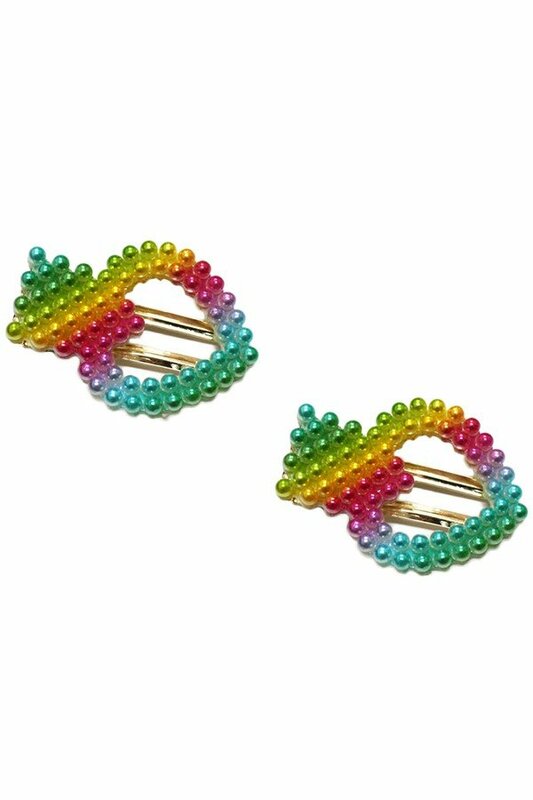 Description: Rainbow finish heart shaped pearl hair clips. Set of two. Approx. 2.25".